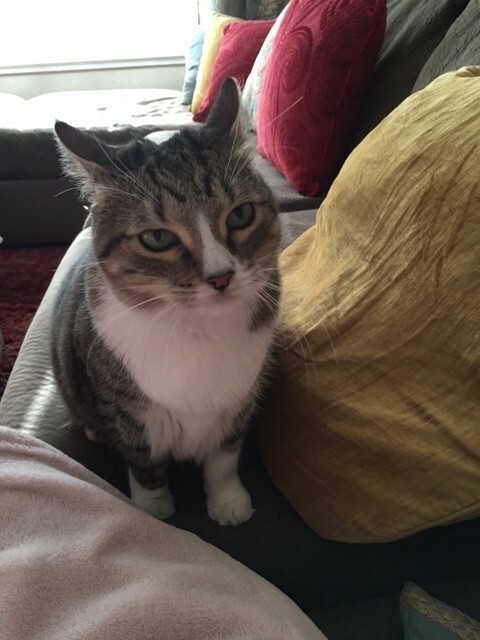 You can fill out an adoption application online on our official website.Lots Olive to Give Olive is 9 years old and has a sassy personality. She gets lonely easily and needs a family that doesn't travel very often. She will meow and purr and follow all over the house, kind of like a dog does. She isn't a lap cat but does love to curl up next to you or be near you at all times lol She is up to date on her vaccinations and recently went to the vet and she is 15lbs! Yikes! The vet wants her to lose 3 pounds so she is currently on a diet food. She's a really sweet cat. To inquire further about the lovely Olive, please contact Laura: 408 476 9392, laurasbr2@gmail.com Visit this organization's web site to see any additional information available about this pet.